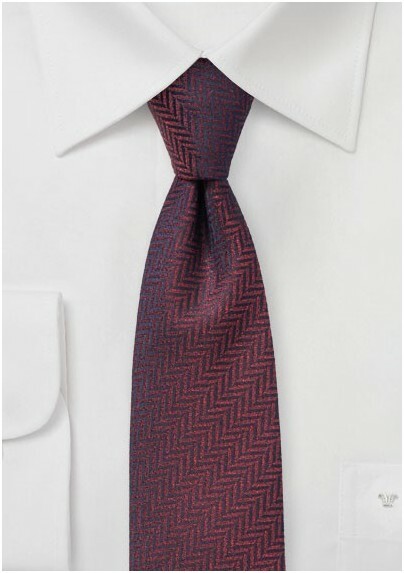 This deep wine red designer tie by PUCCINI stands out thanks to the textured herringbone weave using multiple dark red hues. 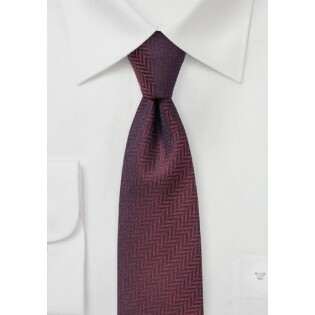 A great tie for any season that pairs nicest with suits in dark navy and any gray. For more colors in this herringbone design, we offer dark navy, cream, silver, and dark teal blue. Handmade using finest woven microfibers.